Traffic in New York City. Image via Wikimedia Commons. Manhattan is notorious for its awful traffic, but motorists will soon have another reason to avoid driving in the Big Apple. On April 1, New York state legislators decided to institute congestion pricing in New York City, according to The Economist. By 2021, vehicles will have to pay to enter Manhattan south of 60th Street. The move is part of the state’s $175 billion budget, according to the New York Times. Revenues generated from the toll will be channeled to maintaining the city’s subways as well as filling other transportation needs in the region. Legislators have not specified the toll price, but a commission that New York Governor Andrew Cuomo convened last year recommended a flat $11.52 rate for cars once per day, according to City & State New York (CSNY). The measure establishes a six-person Traffic Mobility Review Board to make recommendations to the Metropolitan Transit Authority on tolls and other transportation issues, according to CSNY. However, New York Mayor Bill de Blasio can only recommend one member to the board. 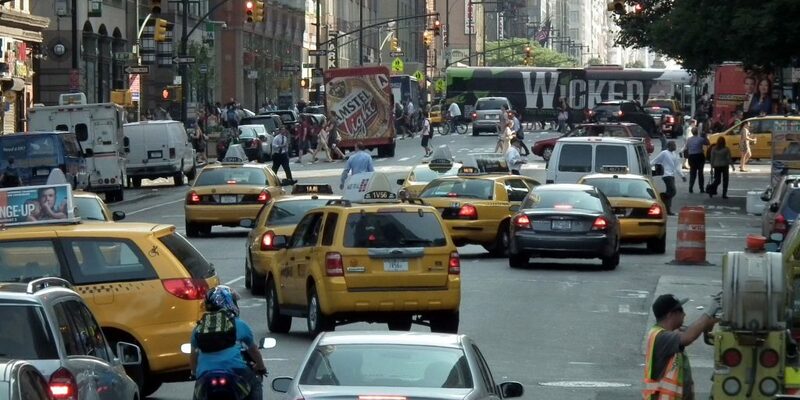 Municipal leaders in other traffic-clogged cities have set their eyes on New York to judge the outcome of its congestion pricing plan and if such a move could work in their areas. Los Angeles and San Francisco are carrying out studies related to congestion pricing, and Seattle may have such pricing in place by the end of current mayor Jenny Durkan’s first term in 2021, according to the Times.